Dates & Times: Friday (1-18): NOON - 10PM; Saturday (1-19): 10AM - 10PM; Sunday (1-20): 10AM - 8PM Location: Ocean Drive Between 6th and 13th Street Miami Beach, Fl 33139 General Inf. 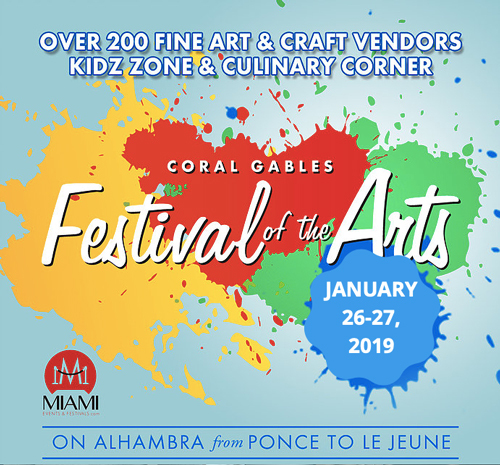 The Longest Running Free Community Cultural Festival in Miami Beach! A free community cultural festival with more than 85 events during “the best 3 days on Ocean Drive” each year. Part of the Miami Design Preservation League’s commitment to preserve, promote and protect our city through historic preservation and educational initiatives.